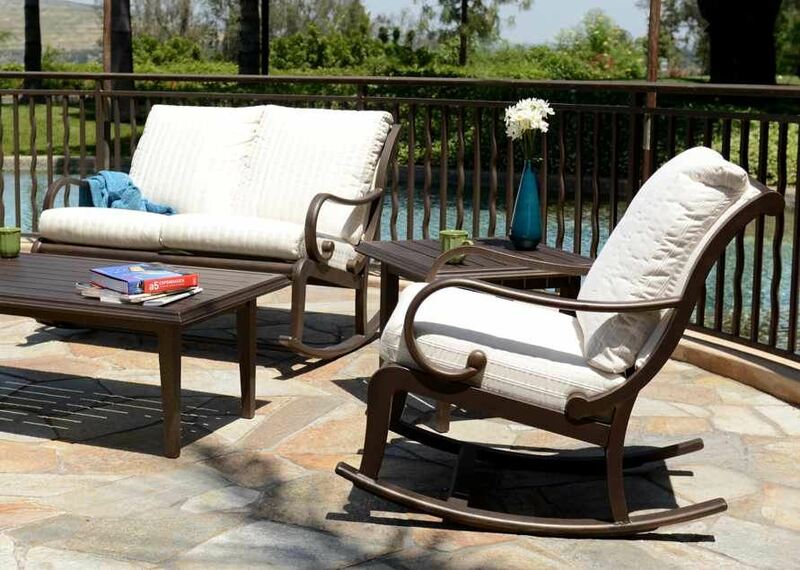 The Celaya Rocker features a contemporary design. Mallin Casual recently introduced two rockers designed to be plush, luxurious, and perfect for entertaining. Celaya’s clean, contemporary design features an attached cushion with an oversized, elegant frame. Retailers may choose to pair single and double rockers with the robust collection of dining and seating pieces, with options in sling and cushion. Users can create an ideal space for conversation with the rockers and new aluminum coffee and corner tables. The frame comprises sturdy extruded aluminum adorned by cast accents, powder coated for weather resistance and luster, while cushions can be customized with quality Sunbrella fabrics. A stunning banana leaf bucket provides exceptional comfort and style, complementing the Celaya profile. A stunning banana leaf bucket provides exceptional comfort and style, complementing the Celaya profile. The woven bucket, newly introduced to the Mallin line, was developed to set the gold standard in comfort. It features a supportive seat and a delicate woven surface that is satiny to the touch—sure to be refreshing during the warm summer months. The Celaya Woven dining chair, swivel rocker, and chaise bring together a robust extruded aluminum frame and natural elements in perfect harmony. The collection is a welcome addition to the line and the casual industry. Terraza’s seating and dining pieces bring a regal presence. 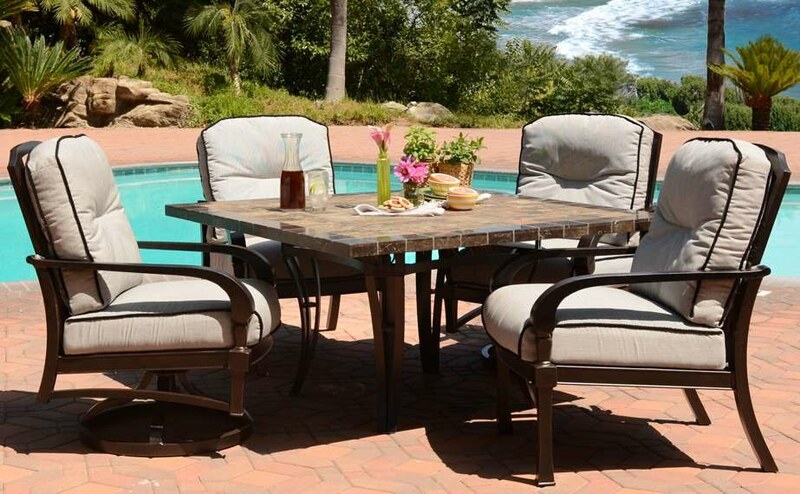 Terraza features a substantial cast frame complemented by a nuanced, airy back. The contoured cushion adds detailed flair, an exemplar of Mallin’s quality craftsmanship. The cushion surrounds users in comfort, whether they are looking to relax and chat or dine al fresco. The cast frame is polyester powder coated for diamond-hard luster that enhances the beauty of the collection. 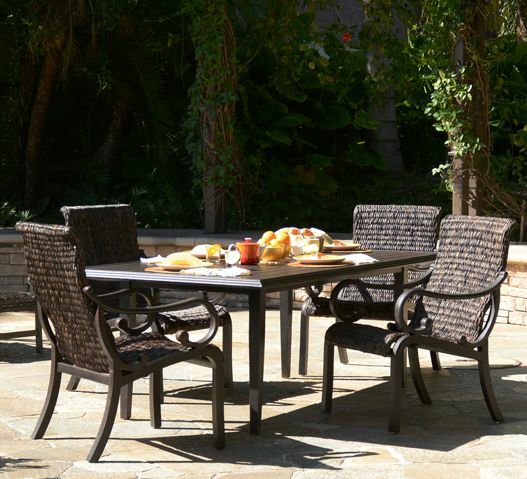 Terraza’s seating and dining pieces bring a regal presence to the backyard oasis and an eye-catching addition to retailer showrooms. We proudly ship Terazza from our plant just outside of Los Angeles, California.